What is Suki-tte Iina Yo? Also known as “Say, I love you”. 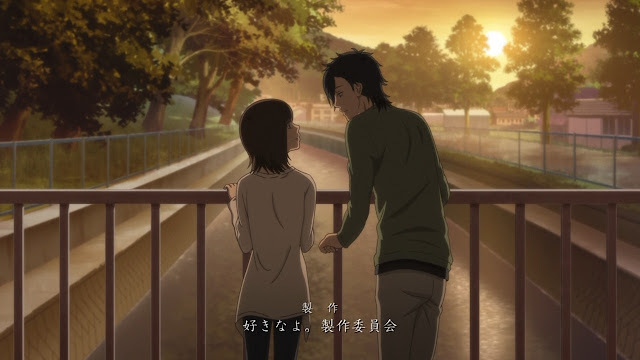 It follows the story of the fateful encounter of Mei Tachibana and Kurosawa Yamato and their path ahead as they slowly grow to love each other. As they grow to love each other, Mei, who was a loner at first, finally learns the true meaning of friendship. First of all, let me clarify that I have yet to watch the OVA by the time I write this review, as I plan to review the show from episode 1-13 only, bar the OVA. So, whatever happened in the OVA is still as dark as the night for me, and I tend to not include OVas in my review as sometimes, it is unrelated to the main plot or some are even there just for the sake of either being there or some unnecessary fanservices. With that said, I am omitting the OVA from this review. Usually, romance series must have a deciding factor so that it can be called original, be it characters, theme, central plot, or whatever. The recently airing Kuzu no Honkai and Tsuki ga Kirei both has their own central thing that they are focusing on. Kuzu no Honkai plays with the theme “Forbidden love”, while Tsuki ga Kirei focuses on how our two couple are still insecure of being in love with each other and their eventual quest to know their relationship, as well as the focus on LINE messaging system. In 2015, a prominent title which has just been released in English also has a factor which makes it popular, which is Ore Monogatari!!! And it’s focus on Takeo Gouda as a “Gar” in a shoujo-like manga and follows his story of how he and Yamato become a couple. Without these factors, all romance anime will just fall to the sideways and be treated as a mediocre series. 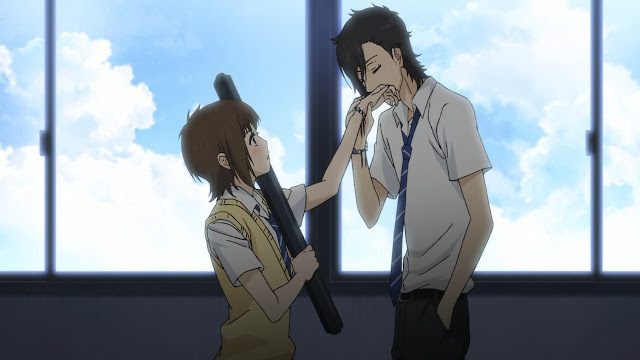 The tropes within romance anime has been to clichéd and without these factors, it wouldn’t bolster the popularity of the genre. So, what makes Sukitte iina yo special? And is it good? 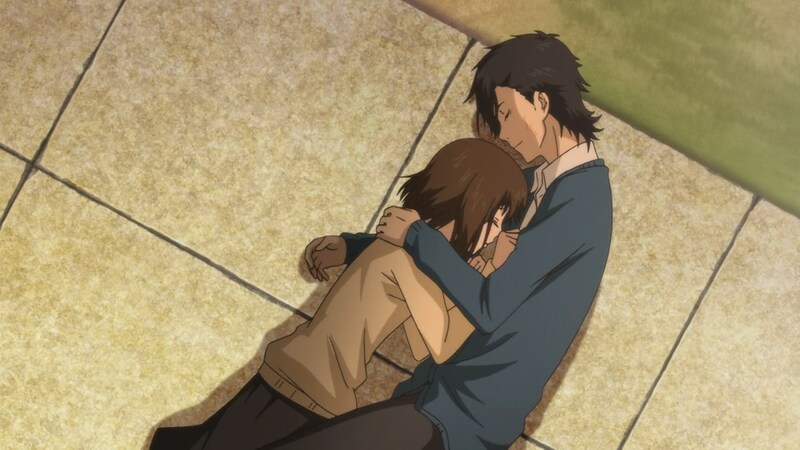 Sukitte iina yo, or allow me to call it just “Sukinayo” from now, is a beautiful anime series about how two high-schoolers became a couple just because of an accident. 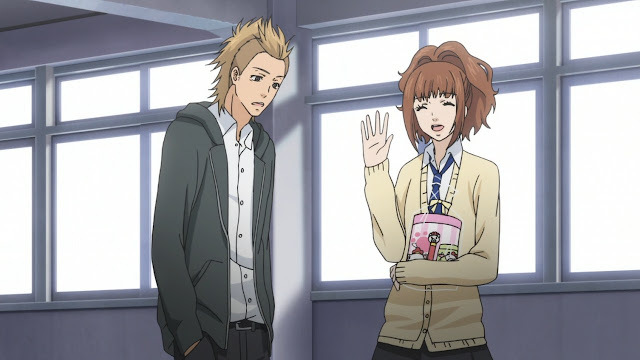 Yeah, the meeting between our protagonists, Mei Tachibana and Kurosawa Yamato was surprising indeed. That kick out of nowhere was unpredictable. 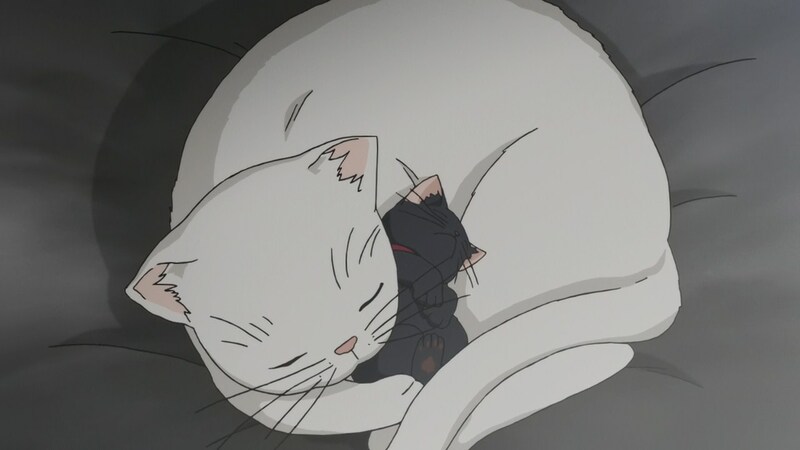 However, aside from that, all of those clichéd tropes found in a usual romance anime is there, such as the fact that Mei is a tsundere-like character, Yamato is a bishounen type of guy, object of interest that connect them [Which is a cat, to be honest], rival turned allies, true rival, and of course, a male rival to deter the resolve of our male lead. Everything is there. However, those are not the core strength of Sukinayo. Sukinayo’s core strength lies in the use of tragical past to tell the backstory of each character, whether they are supporting or not, and we shall get to that later. It manages to create a great first impression. I want to talk about the plot first. The plot was… Predictable, and by golly, I was able to predict each and every movement that every character is about to do. And while doing that, I sense a similiarity between this anime and the previous anime I reviewed, Kimi ni Todoke. 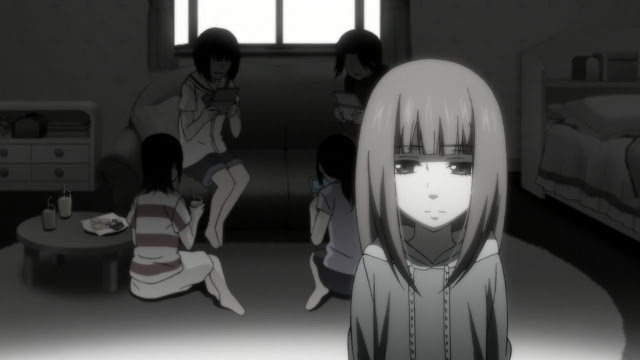 The main heroine, Mei and Sawako, has several similiarity, to the point that their difference lies only in the fact that Sawako looks scarier than Mei. They have issues and willingly becomes a loner, until the male lead finally opened their eyes. They have a feature that only the male lead knows. However, does it mean that Kimi ni Todoke is way better than Sukinayo? Wrong. Sukinayo could definitely not surpass Kimi ni Todoke, but the importance of tragical past here is highlighted. As I mentioned earlier, everyone in Sukinayo has a problem with the past, even the true rival of Mei. And the way it is resolved is well-written and was satisfying, without leaving any loose ends. I like an anime when it ties up all loose ends. The plot moves with a normal pace. It’s not fast, but it is definitely not slow. The formulaic pattern where one arc ends, and it is immediately followed with another arc is also intriguing, as not all romance anime does this. Remember how Ore Monogatari!!! Follows the two episodic format, and Kimi ni Todoke has a breather episode everytime an arc ends? That’s definitely what I am talking about. Maybe I am relating this to Kuzu no Honkai, but in terms of execution, both are almost similar. Sukinayo was better though in my opinion. Everyhing revolves around our main couple. And in my opinion, it was good. Before I continue my episodic review, allow me to delve in to the characters section. 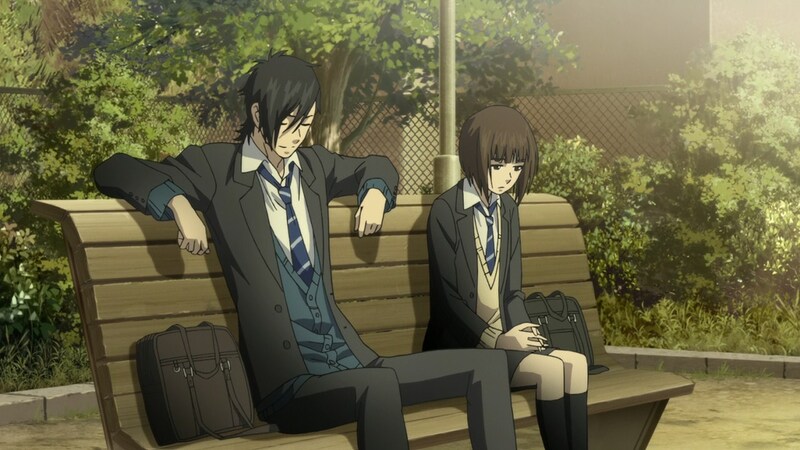 Our protagonists are Mei Tachibana, who serves as the female lead, and Kurosawa Yamato, who acts as the male lead. Both have interesting personality and backstory that allows me to feel connected with the character. Yamato was once a sly boy, according to Kai, and tends to let everything flow around him, until Kai eventually left and that changed Yamato entirey. 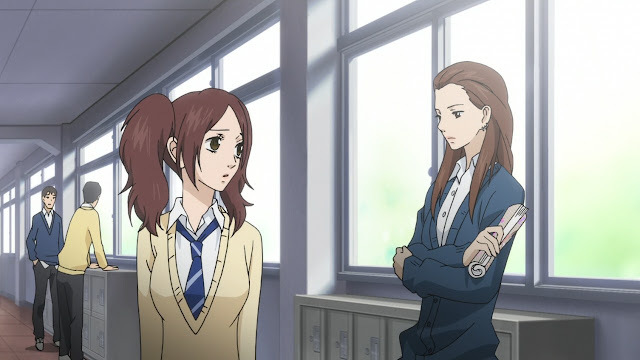 While Mei is… Well, nothing much is revealed about Mai, except for the fact that she was bullied once and was afraid to have a friend and decides to become a loner. Their eventual meeting, the kick and the stalker, and subsequent character development stood out as the best part of this show. We could enjoy how Mei, who was a loner before, now could no longer live without the comfort of friendship. And Yamato, who was once too kind to everyone, finally has someone he can devote himself into. That was beautiful. Which makes us, the viewer, able to connect with them. After Mei and Yamato, we have Asami and Nakanishi. They are surprising as they are rather static at first [Especially Nakanishi], but their eventual development as a couple still surprised me, and Asami also got several of her moments, which defines her as a character. However, a character that stood out as the third best for me is Aiko Muto. Aiko, at first, started as a rival to Mei and opposes everything that she did, until Mei saved her from Hayakawa and delivered one of the best quote in the series. 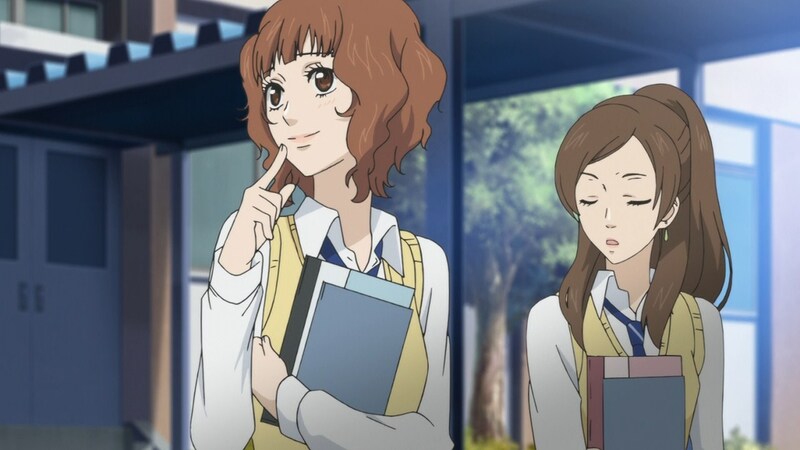 That changed Aiko and eventually, she becomes Mei’s friend and consequently, her wisdom proves to be pivotal for her and Yamato’s development as pair. She has a tragic backstory too, and the implication that both she and Yamato slept together was a bit bothersome for me, but overall, it helped Mei grow as a character, and proves how important Aiko was to the story. Everytime she appeared and a storm is brewing, I just kind of begged her to at least impart one or two word of wisdom to open the eyes of those around her, which she always delivered. Oh, and the fact that she was able to move on from Yamato and deciding to focus on her own boyfriend instead was interesting. Aiko makes much more impact in the story rather than Asami. 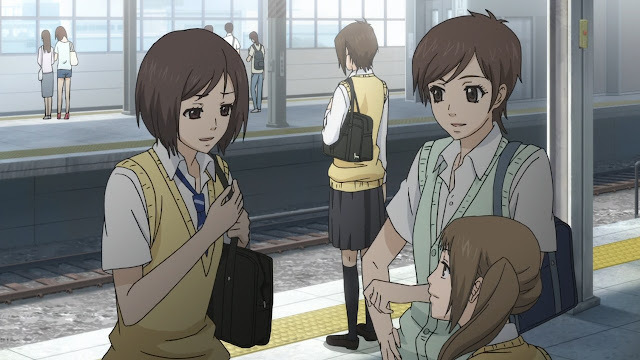 Here is one moment where Aiko gives her word of wisdom to Yamato. 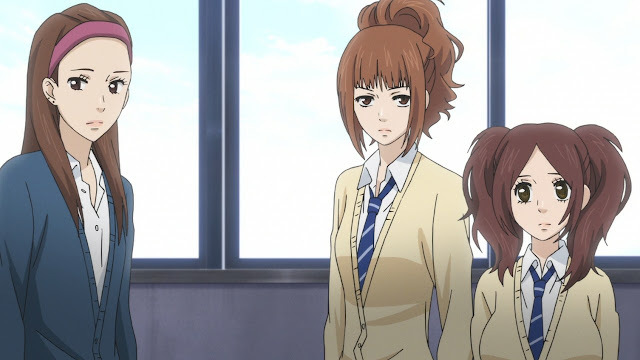 Next up is Nagi, who is Yamato’s younger sister. To be honest, she serves only as yet another obstacle for obstructing the relationship of Mei and Yamato, persistently at that. However, I liked her episode, as it does not stand just for the sake of being there, but is there to tell Nagi of her tragic past. Then we have Kai, who at first, appeared as a male rival to Yamato and a threat to their relationship. However, Kai would then become an apparent ally in their relationship and he helped them in lot of times. To be honest, Kai is not that important for me, despite his backstory and all, but his inclusion was necessary to strengthen the plot and to make sure it progressed well. All’s well that end well I must say. Kai did not make much impact during his run for me. Finally, we have Megumi Kitagawa. A model who fell in love for Yamato. She had a tragic past and wants everything to resonates around her. At first, I knew that she was going to become some sort of trouble, and I was right. Originally, I thought it was Asami who’s going to become Mei’s first rival, turns out it was Aiko, and then followed by Megumi, who stands as the true rival and opposing obstacle in front of Mei and Yamato. She has a façade of a kind girl, whereas her true personality is more wicked and sinister. Is it clichéd? Definitely. However, her method for sabotaging Mei and Yamato’s relationship was remarkable, such as by telling him of her tragic past and make him sympathetic of her, as well as making Yamato unconsciously went to her place every night without telling Mei, and etc. It was well-played for her initially, too bad she does not wear the plot armor. Eventually, her façade is broken thanks to a well-timed Aiko’s advice to Yamato, as well as Kai’s word of wisdom and she eventually has a breakdown. However, her change of heart moment stood out as yet another best moment in the series, where she finally resolves to become herself and finally accepted her childhood friend. If not for her earlier sinister method, I think I would have liked her. I mean, all the things that she did was irreversible, but at least that episode made me felt symphatetic for her, well done. Of course, if I want to liken her to someone similar in a past romance anime, then that would be Kurumizawa Ume from Kimi ni Todoke. 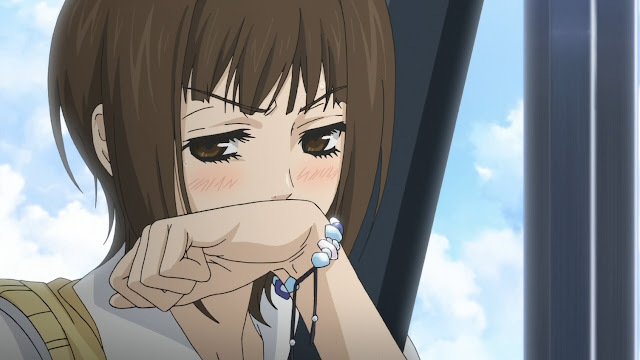 Big shout-out to her as Kurumizawa was my favourite character in Kimi ni Todoke, and her method for making Sawako and Kazehaya become distant is also remarkable, but not as great as Megumi to be honest. And Megu was better in the terms of development, as opposed to Kurumizawa, who was forgotten after her arc ended in the season 1, good thing season 2 revitalizes her character. She undergoes one of the best development in the show. That’s it about the characters. 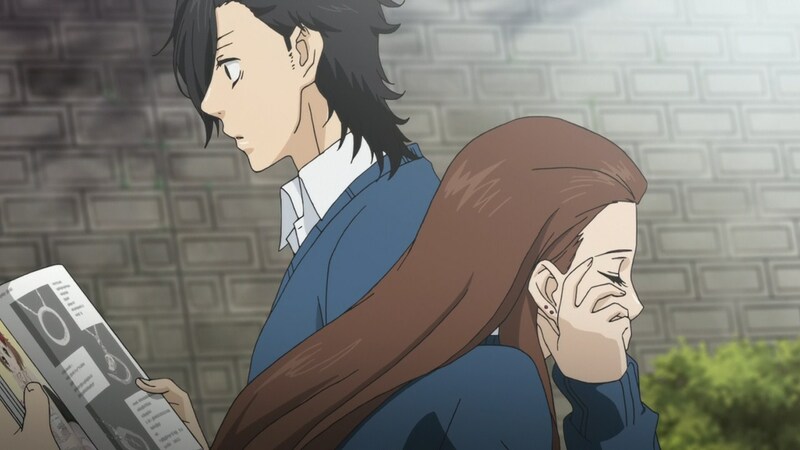 Perhaps I might have missed some, but I did it deliberately, as several characters such as Aiko’s boyfriend, which I did not catch his name, and Hayakawa was just a bystander. 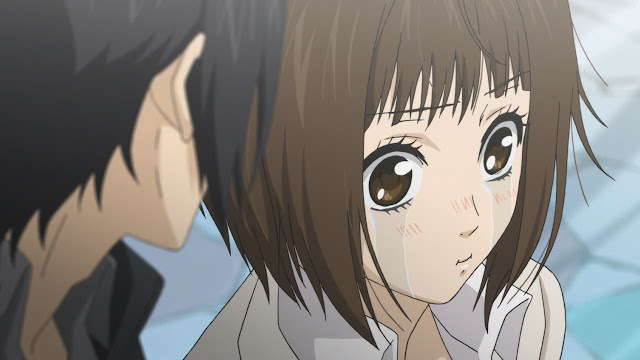 Mei’s mother was also excellent whenever she appears, but she has only limited screen-time, but when she cried upon learning Yamato is Mei’s boyfriend is something to behold. I can feel her parental satisfaction from that, knowing that her only daughter has finally opened up and actually accepted someone to accompany her. Now the theme… As I stated before, the central theme of this anime is tragic past. Each character has their own tragic background, which motivates them into doing things they did. Such as how Mei avoiding people all the time, Kai becoming bigger and wanting to have payback, Asami and how she has a problem with her figure, Aiko and her past with her looks, Nagi and her past of being bullied, and Megumi who was treated as an ugly child who was so tall. Thanks to their interaction with each other, everyone was able to resolve and become a stronger and better person. Yamato was the only problem I had, as his backstory is not that strong and remarkable. Tragic past and emotional scars serves as the show's major focus and strong point. Background was okay to say the least. However, it relies too much on using the same background over and over again. Just how many times I have seen that slope and bridge while watching the series? I had a hard time remembering. Musical scores were okay too, but that’s all I can say about it. The performance of the voice acting was interesting to say the least. However, there were several times where I felt the case of mistaken identity. When I heard her voice, I always thought that Mei was voiced by Kana Hanazawa, but only to know it later that she was voiced by Ai Kayano, and Ryoko Shiraishi being the voice of Aiko Muto, who was voiced by Yumi Uchiyama. I don’t know whether that’s a good or bad thing, however I enjoyed the voice acting. The most remarkable thing for me was the fact that they actually used an actual cat’s meowing for the cat sound, casting aside the need for voicing the cat with voice actor. This was a bold move, but a fresh one at that. At first, I was astounded but grew to like it, as the cat no longer has a humanly ~Nyaa, and instead, sounded like an actual cat. There’s even purring on several occasion, which I liked. The cat was cute, and accompanied with a real sound of a cat. What about the comedic moments? Well, there’s hardly any comedic moments in a series so focused on romance such as this, unlike Kimi ni Todoke, which has a lot of comedic moments. However, when it did have one, it was funny. Such as this instance of funny Mei’s face after she was forced to endure Roller-Coaster and several thrill-inducing rides. She cried but she could not release any word or fear, which was both funny and cute. This face was both hilarious and cute for me. Last episode felt like a good finale and the episode showed almost everyone whose life has been changed thanks to the interaction with each characters. Even Hayakawa and Nagi got their moment of reckoning, where Hayakawa now devotes himself to a single girl, while Nagi had an admirer, to which she admires herself. And with that, Sukitenayo ends. Overall, this is a great show, a beautiful one to be exact. I truly enjoyed every moment watching it, and the suspense I felt whenever a storm struck the show was thrilling, and I was practically yelling to Aiko to do something about Mei whenever Megumi’s sinister ploy began to play around in the palm of her hand, and thank god Aiko always delivered… Boy, I just had to keep mention that now, don’t i? 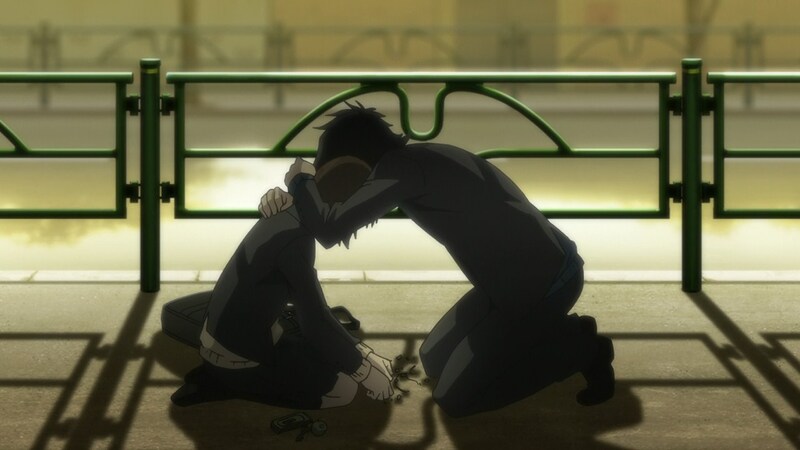 And, while both protagonists are presented with great character development, I think their lack of information as to what happened in their past was one of the main problem of the anime. Despite that however, I still enjoyed their interactions. Aside from it, what else do I think is bad from the series? Oh, the fact that it forget one of the background character? Cliched tropes? Well, nothing’s perfect. This is still an enjoyable show to watch. 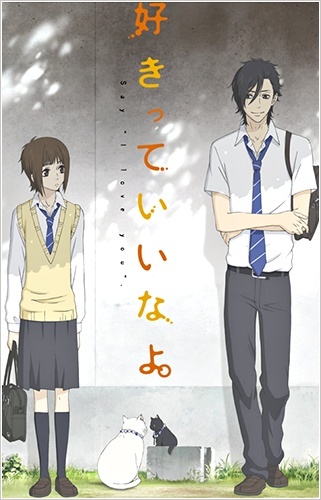 Sukitenayo does not wander too far from it’s clichéd tropes found in any romance genre, yet it still twists it with an added tragical past factor, which helped in the development of the characters, and I think the character development parts are the best part of the show. Sukinayo contains lots of cliche factors. Any romance genre lover should really pick up this series, as it contains all those factors that those who actually a fan of the genre would love and enjoy. Casual fans should also pick this up, but if they get turned off with the tragic background theme, then they should just avoid this series entirely. 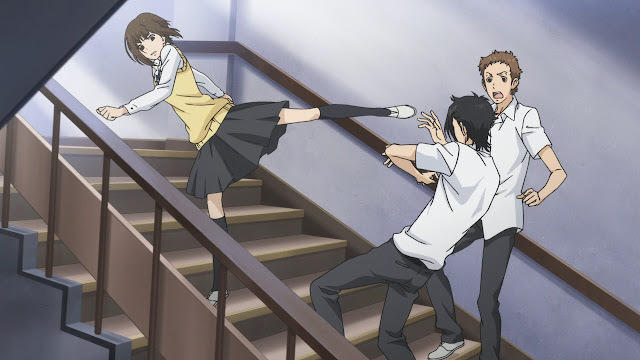 Oh, and any action-lover fans won’t benefit from watching this series, since this is devoid of any humor or comedic antic that should help them relax from any action-oriented anime that they have watched, but I won’t stop them from picking this series up should their curiosity be piqued. The good : Aiko Muto. Focus on character development, which was a tremendous job. Good voice-acting. Tragic background as central theme. The cats are voiced with an actual cat voice for heaven's sake. The bad : Clichéd tropes are abundant in the series. Some might get turned off by the tragic background past as the central theme. Too short. Highlight scene : Everytime Mei and Yamato are together. Final Score : 3.5 out of 5. I could have given it four, but there are several things that bind the series down. Really need a sequel but it was wrapped up quite nicely.